Ultimately, design is all a matter of taste. 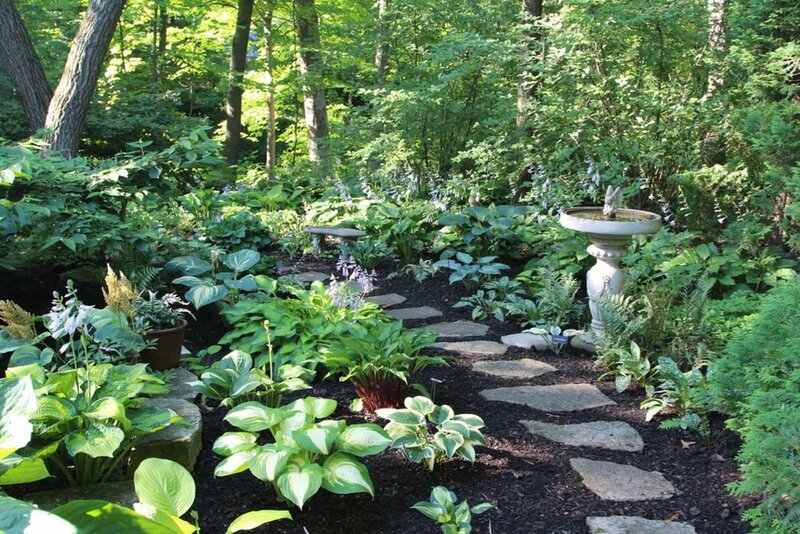 Everyone knows the basics of design - tall stuff in the back, shorter plants in the front, groupings should include plants with the same needs as far as lighting, soil conditions and watering. 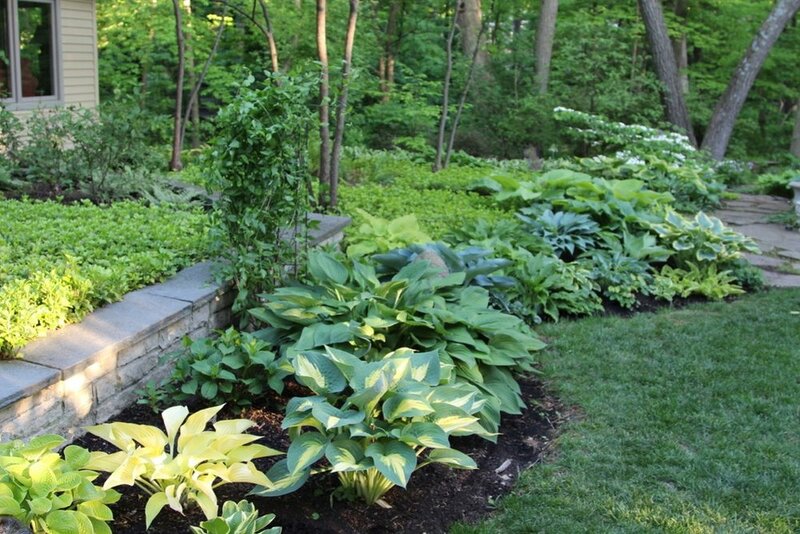 When it comes to hostas, you first should decide if you want to design with hostas or add hostas to your design. 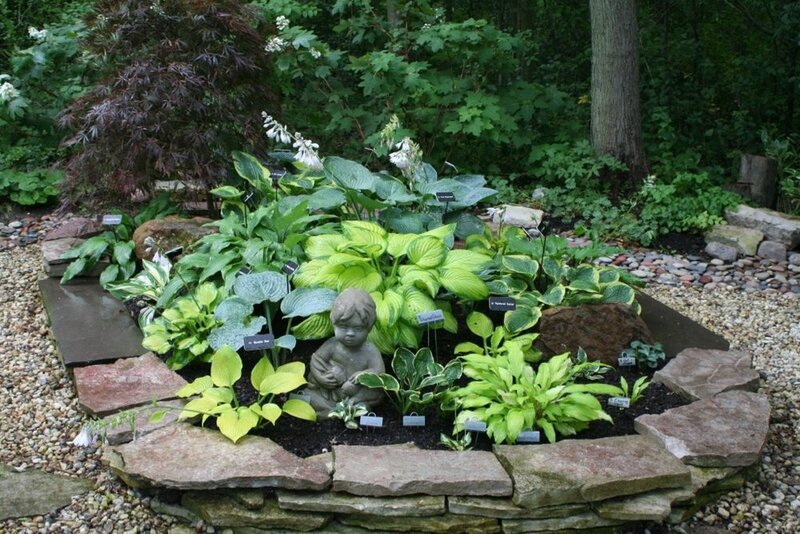 I talk about companion plants for hostas in “Hostabuddies”. These are other perennials that grow well in similar conditions and complement each other. 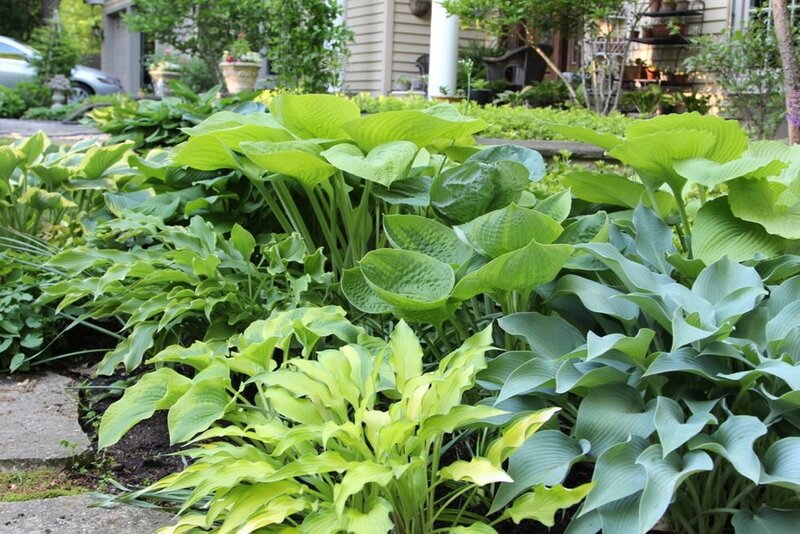 You can also design a complete hosta garden utilizing different sizes shapes, colors and textures. There are so many varieties available that you can have great fun mixing them up according to your taste and color preference. Just be sure to think about how the different varieties grow and how big they’ll get or how small they will stay. 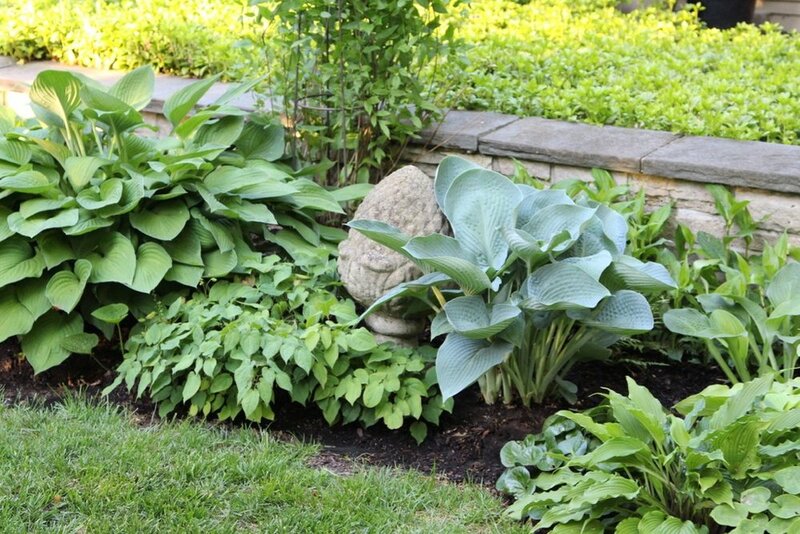 It’s easy to plant small hostas in front of the larger ones, then in a couple of years, you may lose the smaller ones because they’re overshadowed by the larger plants and don’t get enough light or water. Don’t be afraid to move them around if you see an issue or just don’t like the way they look. 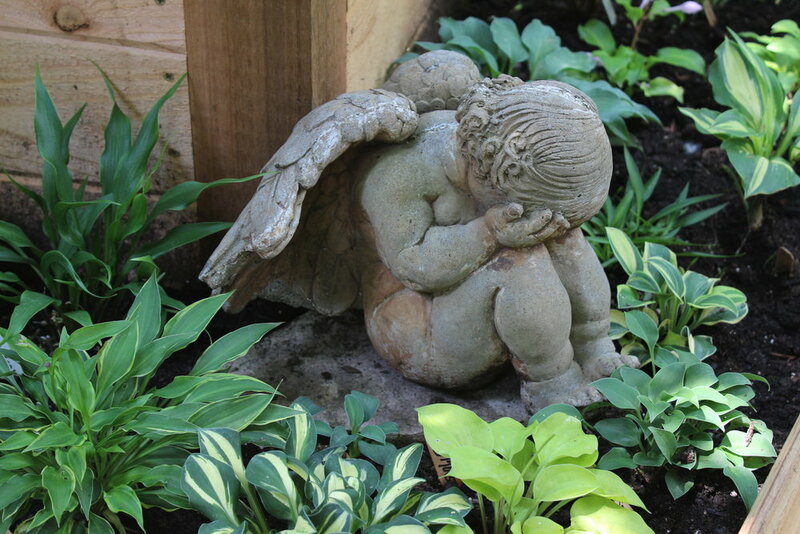 Hostas can be pretty forgiving. I’ll include some photos below giving you a few design ideas. The main thing is to be as creative as you wish. Your only limitation is your imagination. However, I do have one rule about design. 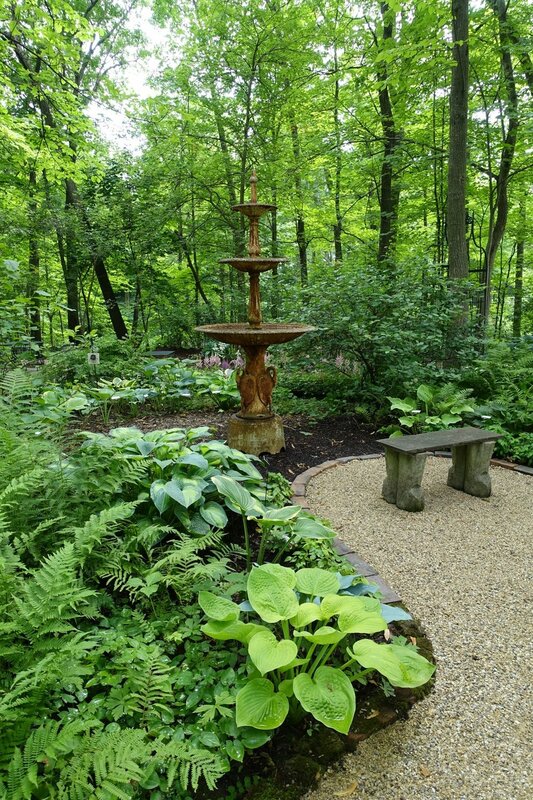 PLEASE NEVER plant a hosta ring around a tree.